For the event of a ship wrecking, see Shipwrecking. For other uses, see Shipwreck (disambiguation). A shipwreck is the remains of a ship that has wrecked, which are found either beached on land or sunken to the bottom of a body of water. Shipwrecking may be deliberate or accidental. In January 1999, Angela Croome estimated that there have been about three million shipwrecks worldwide (an estimate rapidly endorsed by UNESCO and other organizations). Historic wrecks are attractive to maritime archaeologists because they preserve historical information: for example, studying the wreck of Mary Rose revealed information about seafaring, warfare, and life in the 16th century. 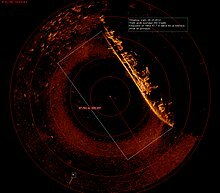 Military wrecks, caused by a skirmish at sea, are studied to find details about the historic event; they reveal much about the battle that occurred. Discoveries of treasure ships, often from the period of European colonisation, which sank in remote locations leaving few living witnesses, such as Batavia, do occur as well. Some contemporary wrecks, such as the oil tankers Prestige or Erika, are of interest primarily because of their potential harm to the environment. Other contemporary wrecks are scuttled in order to spur reef growth, such as Adolphus Busch and Ocean Freeze. Wrecks like Adolphus Busch and historic wrecks such as Thistlegorm are of interest to recreational divers that dive to shipwrecks because they are interesting to explore, provide large habitats for many types of marine life, and have an interesting history. Well known shipwrecks include the catastrophic Titanic, Britannic, Lusitania, Estonia, Empress of Ireland, Andrea Doria, or Costa Concordia. There are also thousands of wrecks that were not lost at sea but have been abandoned or sunk. These abandoned, or derelict ships are typically smaller craft, such as fishing vessels. They may pose a hazard to navigation and may be removed by port authorities. Poor design, improperly stowed cargo, navigation and other human errors leading to collisions (with another ship, the shoreline, an iceberg, etc. ), bad weather, fire, and other causes can lead to accidental sinkings. Intentional reasons for sinking a ship include forming an artificial reef; due to warfare, piracy, mutiny or sabotage; as part of target practice; or to remove a menace to navigation. A ship can be also used as breakwater structure. The above - especially the stratification (silt/sand sediments piled up on the shipwrecks) and the damages caused by marine creatures - is better described as "stratification and contamination" of shipwrecks. The stratification not only creates another challenge for marine archaeology, but also a challenge to determine its primary state, i.e. the state that it was in when it sank. Stratification includes several different types of sand and silt, as well as tumulus and encrustations. These "sediments" are tightly linked to the type of currents, depth, and the type of water (salinity, pH, etc. ), which implies any chemical reactions that would affect potential cargo (such as wine, olive oil, spices, etc.). Besides this geological phenomenon, wrecks also face the damage of marine creatures that create a home out of them, primarily octopuses and crustaceans. These creatures affect the primary state because they move, or break, any parts of the shipwreck that are in their way, thereby affecting the original condition of amphorae, for example, or any other hollow places. Finally, in addition to the slight or severe destruction marine animals can create, there are also "external" contaminants, such as the artifacts on and around the wreck at Pickles Reef and the over-lapping wrecks at the Molasses Reef Wreck, or contemporary pollution in bodies of water, that severely affect shipwrecks by changing the chemical structures, or further damaging what is left of a specific ship. Despite these challenges, if the information retrieved does not appear to be sufficient,[further explanation needed] or a poor preservation is achieved, authors like J.A. Parker claim that it is the historical value of the shipwreck[further explanation needed] that counts as well as any slight piece of information or evidence that is acquired. Exposed wooden components decay quickly. Often the only wooden parts of ships that remain after a century are those that were buried in silt or sand soon after the sinking. An example of this is Mary Rose. Steel and iron, depending on their thickness, may retain the ship's structure for decades. As corrosion takes place, sometimes helped by tides and weather, the structure collapses. Thick ferrous objects such as cannons, steam boilers or the pressure vessel of a submarine often survive well underwater in spite of corrosion. Propellers, condensers, hinges and port holes were often made from non-ferrous metals such as brass and phosphor bronze, which do not corrode easily. Shipwrecks in some freshwater lakes, such as the Great Lakes of North America, have remained intact with little degradation. In some sea areas, most notably in Gulf of Bothnia and Gulf of Finland, salinity is very low, and centuries-old wrecks have been preserved in reasonable condition. However, bacteria found in fresh water cause the wood on ships to rot more quickly than in seawater unless it is deprived of oxygen. Two shipwrecks, USS Hamilton and USS Scourge, have been at the bottom of Lake Ontario since they sunk during a violent storm on August 8, 1813, during the War of 1812. They are in "remarkably good" condition. Iron-based metals corrode much more quickly in seawater because of the dissolved salt present; the sodium and chloride ions chemically accelerate the process of metal oxidation which, in the case of ferrous metals, leads to rust. Such cases are prominent on deep-water shipwrecks, such as RMS Titanic (which sank in 1912), RMS Lusitania (which sank in 1915), and German battleship Bismarck (which sank in 1941). However, there are some exceptions; RMS Empress of Ireland lies in the saltwater portion of the St. Lawrence River, but is still in remarkably good condition. Unprotected wood in seawater is rapidly consumed by shipworms and small wood-boring sea creatures. Shipworms found in higher salinity waters, such as the Caribbean, are notorious for boring into wooden structures that are immersed in sea water and can completely destroy the hull of a wooden shipwreck. An important factor in the condition of the wreck is the level of destruction at the time of the loss or shortly afterwards due to the nature of the loss, salvage or later demolition. After the loss, the vessel's owners may attempt to salvage valuable parts of the ship and its cargo. This operation can cause further damage. Shipwrecks in shallow water near busy shipping lanes are often demolished or removed to reduce the danger to other vessels. On charts, some wreck symbols have a line under the symbol with a depth mark, which indicates the water depth above the wreck. On the seabed, wrecks are slowly broken up by the forces of wave action caused by the weather and currents caused by tides. Also more highly oxygenated water, which promotes corrosion, reduces the strength of ferrous structural materials of the ship. Deeper wrecks are likely to be protected by less exposure to water movement and by lower levels of oxygen in water. Extreme cold (such as in a glacial-fed lake, Arctic waters, the Great Lakes, etc.) slows the degradation of organic ship materials. Decay, corrosion and marine encrustation are inhibited or largely absent in cold waters. Often, attempts are made to salvage shipwrecks, particularly those recently wrecked, to recover the whole or part of the ship, its cargo, or its equipment. An example was the salvage of the scuttled German High Seas Fleet at Scapa Flow in the 1920s and 1930s. The unauthorized salvage of wrecks is called wrecking. Shipwreck law determines important legal questions regarding wrecks, perhaps the most important question being the question of ownership. Legally wrecks are divided into wreccum maris (material washed ashore after a shipwreck) and adventurae maris (material still at sea), which are treated differently by some, but not all, legal systems. Wrecks are often considered separately from their cargo. 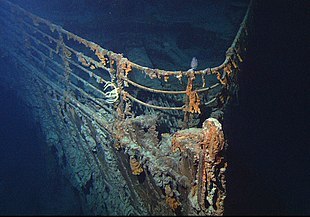 For example, in the British case of Lusitania  QB 384 it was accepted that the remains of the vessel itself were owned by the insurance underwriters who had paid out on the vessel as a total loss by virtue of the law of subrogation (who subsequently sold their rights), but that the property aboard the wreck still belonged to its original owners or their heirs. Military wrecks, however, remain under the jurisdiction–and hence protection–of the government that lost the ship, or that government's successor. Hence, a German U-boat from World War II still technically belongs to the German government, although the Third Reich (the government of the time) is long-defunct. Many military wrecks are also protected by virtue of being war graves. However, many legal systems allow the rights of salvors to override the rights of the original owners of a wreck or its cargo. As a general rule, non-historic civilian shipwrecks are considered fair game for salvage. Under international maritime law, for shipwrecks of a certain age, the original owner may have lost all claim to the cargo. Anyone who finds the wreck can then file a salvage claim on it and place a lien on the vessel, and subsequently mount a salvage operation (see Finders, keepers). The State of North Carolina questionably claims "all photographs, video recordings, or other documentary materials of a derelict vessel or shipwreck or its contents, relics, artifacts, or historic materials in the custody of any agency of North Carolina government or its subdivisions" to be its property. Some countries assert claims to all wrecks within their territorial waters, irrespective of the interest of the original owner or the salvor. Wartime wrecks have different legal considerations, as they are often considered prizes of war, and therefore owned by the navy that sank them. Some legal systems regard a wreck and its cargo to be abandoned if no attempt is made to salvage them within a certain period of time. 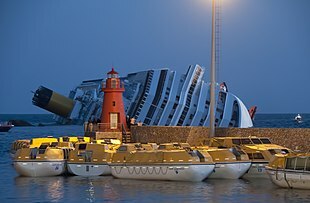 English law has usually resisted this notion (encouraged by an extremely large maritime insurance industry, which asserts claims in respect of shipwrecks which it has paid claims on), but it has been accepted to a greater or lesser degree in an Australian case and in a Norwegian case. The American courts have been inconsistent between states and at Federal level. Under Danish law, all shipwrecks over 150 years old belong to the state if no owner can be found. In Spain, wrecks vest in the state if not salvaged within 3 years. In Finland, all property on board shipwrecks over 100 years old vests in the state. The British Protection of Wrecks Act, enacted to protect historic wrecks, controls access to wrecks such as Cattewater Wreck which can only be visited or investigated under licence. The British Protection of Military Remains Act 1986 also restricts access to wrecks which are sensitive as war graves. The Protection of Military Remains Act in some cases creates a blanket ban on all diving; for other wrecks divers may visit provided they do not touch, interfere with or penetrate the wreck. In the United States, shipwrecks in state waters are regulated by the Abandoned Shipwrecks Act of 1987. This act is much more lenient in allowing more open access to the shipwrecks. Following the beaching of MSC Napoli, as a result of severe damage incurred during European storm Kyrill, there was confusion in the press and by the authorities about whether people could be prevented from helping themselves to the flotsam which was washed up on the beaches at Branscombe. Many people took advantage of the confusion and helped themselves to the cargo. This included many BMW motorbikes and empty wine casks as well as bags of disposable nappies (diapers). The legal position under the Merchant Shipping Act 1995 is that any such finds and recovery must be reported within 28 days to the Receiver of Wreck. Failure to do so is an offence under the Merchant Shipping Act and can result in a criminal record for theft by finding. After several days, the police and Receiver of Wreck, in conjunction with the landowner and the contracted salvors, established a cordon to prevent access to the beach. A similar situation occurred after the wreck of Cita in 1997. Historic wrecks (often but not always defined as being more than 50 years of age) are often protected from pillaging and looting through national laws protecting cultural heritage. Internationally they may be protected by a State ratifying the Unesco Convention on the Protection of the Underwater Cultural Heritage. In this case pillaging is not allowed. One such example is Queen Anne's Revenge which is undergoing archaeological recovery by the North Carolina Department of Cultural Resources near Beaufort Inlet, NC. An important international convention aiming at the protection of underwater cultural heritage (including shipwrecks) is the Convention on the Protection of the Underwater Cultural Heritage. The 2001 UNESCO Convention on the Protection of the Underwater Cultural Heritage represents the international community's response to the increasing looting and destruction of underwater cultural heritage. It forms part of a group of UNESCO standard setting instruments regarding the domain of cultural heritage, encompassing seven conventions adopted by UNESCO Member States, which constitute a coherent and complementary body guaranteeing a complete protection of all forms of cultural heritage. The UNESCO 2001 Convention is an international treaty aimed exclusively at the protection of underwater cultural heritage and the facilitation of international cooperation in this regard. It does not change sovereignty rights of States or regulate the ownership of wrecks or submerged ruins. In 2011, the most valuable cargo of a sunken shipwreck was identified near the western edge of the Celtic Sea. This World War II era sinking of Gairsoppa led to a treasure almost three miles (16,000 ft; 4,800 m) deep. A U.S. federal court and a panel from the United States Court of Appeals for the Eleventh Circuit have upheld the Spanish claim to the contents of the ship Nuestra Señora de las Mercedes; Spain took control of the treasure in February 2012. A very small number of coins and effects recovered from the ship were deposited in Gibraltar, because they showed clear signs coherent with an internal explosion on the ship and thus confirmed Spanish claims to the wreck being that of the Nuestra Señora de las Mercedes. They were not returned to Spain until 2013, when a court finally ordered Odyssey Marine to return the missing pieces. Archaeologist Valerios Stais discovered one of the most notable instruments of time keeping and prediction of celestial events off the coast of the Greek island Antikythera On May 17, 1902. The device, known as the Antikythera Mechanism, is perhaps the earliest example of what would be known as today as an analog computer, and the technology it encompasses predates any other recorded description by hundreds or thousands of years. ^ Angela Croome (January 16, 1999). “Sinking fast”, New Scientist, Volume 161, Issue 2169, pp. 49. ^ “Sinking fast”, Marine Industrial Technology, 1 and 2/1999, Emerging Technology Series, United Nations Industrial Development Organization, pp. 58. ^ Lucia Iglesias Kuntz (June 12, 2002), “UNESCO urges the Americas to join the underwater heritage convention”, UNESCO Media Services. ^ “Lisbon Resolution”, Society for Historical Archaeology Newsletter, Summer 1999, Volume 32, Number 2, pp. 31. ^ Scurvy, Death and Cannibalism (internet video). Shipwreck Central. 2007. Archived from the original on 2008-03-06. ^ Parker, A.J. (1981). "Stratification and contamination in ancient Mediterranean shipwrecks". The International Journal of Nautical Archaeology and Underwater Exploration. 10: 309–335. ^ "Final Management Plan" (PDF). Thunder Bay National Marine Sanctuary. NOAA. Retrieved 11 August 2015. ^ "Hamilton's War of 1812 shipwrecks 'an archeologist's dream'". cbc.ca. CBC News. Retrieved 11 August 2015. ^ Dominique (2010). "Empress of Ireland (Canada)". Tekdiv Exploration. Retrieved 16 March 2019. ^ Gilman, Sarah (December 5, 2016). "How a Ship-Sinking Clam Conquered the Ocean". Smithsonian Mag. Retrieved 16 March 2019. ^ Steere, Mike (12 May 1996). "Superior keeps its shipwrecks fresh Preservation: In the cold, almost sterile water at the bottom of the Great Lake, divers find the remains of marine disasters". Baltimore Sun. Archived from the original on 16 November 2018. Retrieved 29 August 2015. 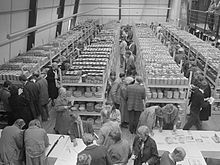 ^ For example, under English law the former were dealt with under rules relating to things found on land, the latter were dealt with under Admiralty jurisdiction. ^ White, Stephen F. (5 October 2001). "Treasure Salvage: Finders Keepers?". wcslaw.com. Archived from the original on 17 September 2015. Retrieved 16 March 2019. ^ Berger, Philip E.; Moore, Tim; McCrory, Pat (18 August 2015). "HB 184" (PDF). General Assembly of North Carolina. p. 6. Retrieved 16 March 2019. ^ Robinson v Western Australian Museum (1977) 51 ALJR 806 at 820-821, although significantly the court held that it had not been abandoned despite the fact the ship, the Gilt Dragon, was lost in 1656. ^ N. Rt. 346 (1970 N.D. 107), per Eckhoff J. (Supreme Court of Norway), "It is possible that an owner's inactivity over a long period of time, taking into account the circumstances, can be sufficient reason for considering that the proprietary right to the wrecked vessel has been relinquished. ... [But] inactivity over a certain number of years cannot in itself be conclusive." ^ In Treasure Salvors Inc. v Unidentified Wreck  AMC 1404,  AMC 1857 relating to the Atocha the courts treated the wreck and cargo as abandoned, arguing it would be an "absurd fiction" to regard a centuries-old shipwreck as still owned by the original owner. But in Columbus America Discovery Groupo v Unidentified Wreck  AMC 2409, (1992) 337 LMNL 1 the courts were prepared to uphold the claims of the original insurers to the cargo subject to their providing the necessary proof, which they were unable to do. ^ "Napoli 'scavenging' beach to open". BBC News. BBC. 14 March 2007. Archived from the original on 17 March 2017. Retrieved 19 September 2009. ^ "ROW- The reporting process". Maritime and Coastguard Agency. Archived from the original on 25 February 2008. Retrieved 18 May 2013. ^ "Wreck and salvage law - Detailed guidance". Maritime and Coastguard Agency. 14 September 2012. Archived from the original on 28 January 2011. Retrieved 17 September 2015. ^ "Structural failure of container vessel MSC Napoli and subsequent beaching Marine Accident Investigation Branch report". Maritime and Coastguard Agency. 18 January 2007. Archived from the original on 18 October 2007. Retrieved 17 September 2015. ^ "What Lies Beneath". BBC Radio World Service Broadcast. Bbc.co.uk. 22 August 2008. Retrieved 19 September 2009. ^ "Convention on the Protection of the Underwater Cultural Heritage". UNESCO. 2001. Archived from the original on 15 August 2008. Retrieved 19 September 2009. ^ Hogan, C.Michael (27 September 2011). "SS Gairsoppa recovery". In Saundry, Peter; Cleveland, C.J. (eds.). Encyclopedia of Earth. Washington DC: National Council for Science and the Environment. Archived from the original on 4 June 2013. Retrieved 16 March 2019. Wikimedia Commons has media related to Shipwrecks.